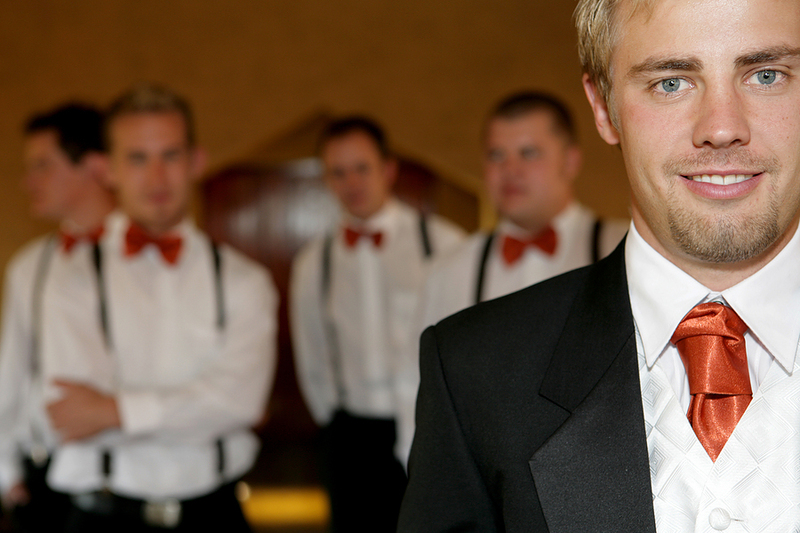 We’ve done plenty of articles for easing the stress of the bride for the wedding, but the grooms out there may be feeling just a bit neglected. And hey, it’s their wedding too! So this one is for the fellas; if you’re planning on getting married in the near future, here are a few tips to helping you keep your sanity, even if your bride is losing hers. 1.) Don’t procrastinate with the tux. Your bride has most likely been dreaming of the wedding dress she’ll wear for years, while you probably have a general look in mind and will go with that. However, that doesn’t mean you can put off the process until the last minute. You should be giving yourself 4 to 5 months to find a tux. Maybe even a bit longer if you’re planning a spring or summer wedding as it’s the busiest time of the year and other grooms will be doing the exact same thing. 2.) Keep the lines of communication open. 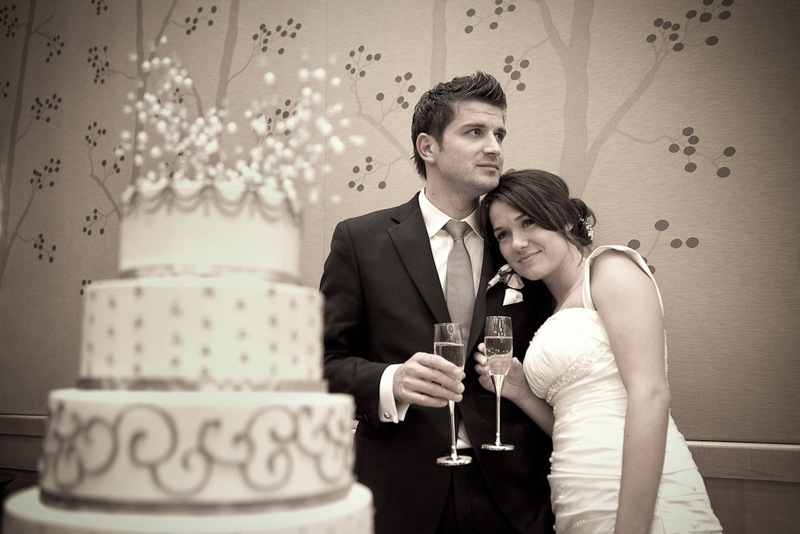 Planning a wedding should be a job for the two of you, not just the bride herself. After all, you both are getting married. So offer to help with the little things and make sure you’re educated on planning updates. If she’s freaking out about something, knowing exactly what the problem is will be the first step in solving it. 3.) Know the right time to shave. You definitely don’t want to be walking around on your wedding day with a harsh case of razor burn. But then again, having her face nearly sanded off during your first kiss is probably something your bride isn’t looking forward to either. So choose your shave time wisely; most people recommend shaving in the direction of the hair just moments before you get dressed for the ceremony. 4.) Go easy on the booze. This should be one of the happiest days of your life, so of course you’re going to want to have a drink or two. Look out though, since free booze tends to be a slippery slope for everyone. Besides, this isn’t your average Saturday get-together; this is your wedding. You’re going to want to remember this one. So by all means have a few drinks, but keep it classy. Besides, how rough would it be to end up passed out or puking at the end of the night in from of 250 of your closest friends and family? Not great. Especially when they all have camera phones. 5.) Relax. Know that all the planning you have done has led to this point, so sit back and relax, the planning is over! Now is the time enjoy the fact that you’re getting married. Appreciate the company of your friends and family and if something goes wrong just let it slide. No one will remember the little snafus anyway since they probably didn’t know what was expected in the first place. All anyone will remember is how amazing your big day turned out to be. Lily’s Bridal – Maryland’s Premier Bridal Boutique – Offers Wedding dresses, Bridesmaids dresses, Mothers dresses, Tuxedo Rentals, and Prom Dresses. Call to book an appointment! 1.) Scary theme. We’re talking Halloween or Zombie theme. You can either go all out, with the bride and groom painted to look like real, scary zombies, or if you can add little touches in to a still very elegant and classy wedding. Think orange and black cocktail drinks or skeleton pieces of art as table settings. Plus, we guarantee you your wedding will be the talk of everyone in both of your families, forever. 2.) Movie theme. This one is quite broad, so we’re leaving the gist of it up to you. Basically, you both choose a movie to plan your wedding around. Have the two of you always wanted to be secret agents? How about a James Bond theme. Your man gets to wear his amazing tux, while all your guests can dress up in their dressiest outfits. It would be sophisticated and fun. Or maybe you guys could go a different direction, and choose something whimsical like Alice in Wonderland. With all the movies out there your options really are endless! 3.) Geek/Nerd theme. Have an obsession with video games? Legos? Anything that could be considered just a tad bit nerdy? Run with it! People are owning their geekiness like no other these days, so why stop there? 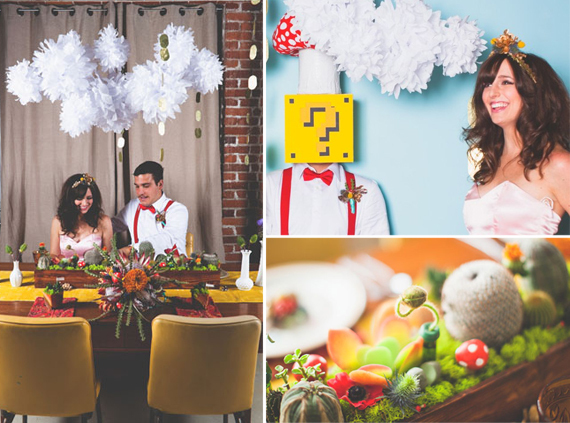 A lego-themed wedding would not only be the talk of the town, but everyone would undoubtedly feel like a 7-year old again. Just imagine the nostalgia! Plus, if you think about it, your friends are probably all somewhat nerdy or geeky as well (we tend to be friends with people similar to ourselves) so they would probably love it! 4.) Superhero theme. There’s nothing wrong with letting your “secret identities” show for a day! You can go all out, or just have the groom wear his Superman shirt under his tux while you keep your Wonder Woman undies under wraps until later that night. 5.) Fantasy theme. 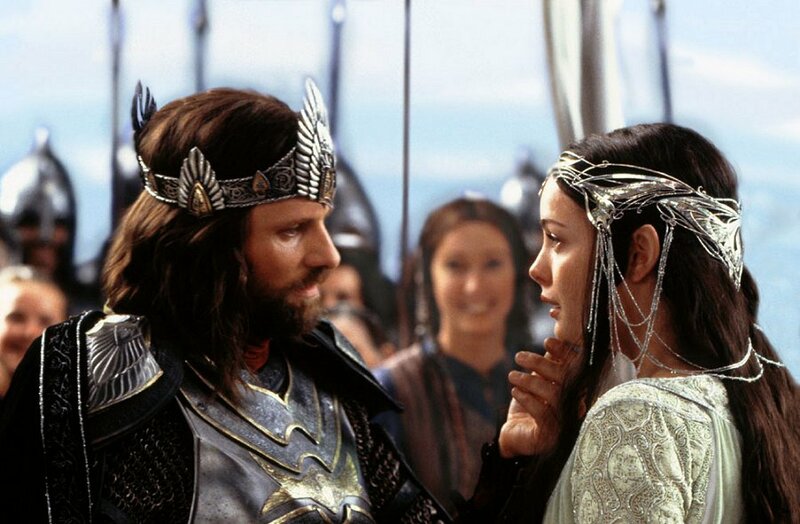 The fantasy theme can come from a number of places, from Fantasia to Lord of the Rings. You can wear fairy wings down the aisle, or you can choose a more subtle approach, like having vines twist through the Arbor you’ll be standing under. Just imagine how beautiful it could be! 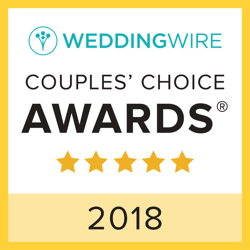 Lily’s Bridal – Maryland’s Premier Bridal Boutique – Offering Wedding Dresses, Bridesmaids Dresses, Mothers Dresses, Tuxedo Rentals, and Prom Dresses. Call to book your appointment today!